Download best premium and free dashboard PowerPoint templates for analyzing extensive data very quickly at a glance. 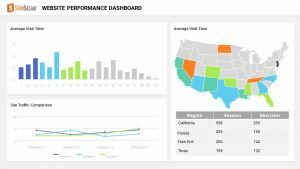 Dashboards are a combination of different statistical tools comprised into a single slide. Slidebazaar offers a range of templates that are especially useful for business professionals, sales, marketing analysts, etc. to produce rich slides that can break down complex data into primary data. 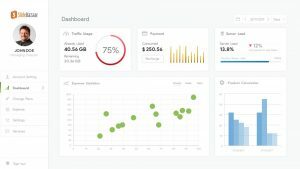 These dashboard templates are customizable and can be easily edited by customers. 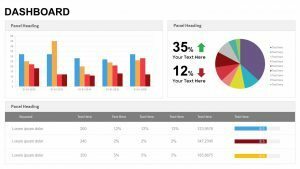 Dashboards can use various tools to display large information such as bar graphs, pie charts, column tables, etc. For taking any appropriate decision for the overall development of the organization all the initial data should be precise and detailed as far as possible. The viewers can analyze and make quick decisions based on the statistics. 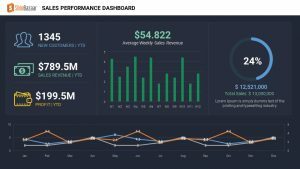 Dashboard PowerPoint templates are widely used to analyze the sales of a particular product to give a detailed report. 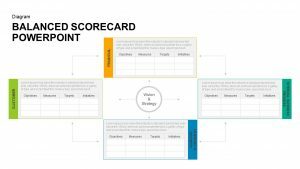 These reports are highly useful for the growth of any company as they give transparency on how well your product or sales is working. 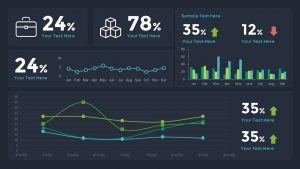 Slidebazaar offers dashboard templates are highly attractive and make the data easy to interpret. 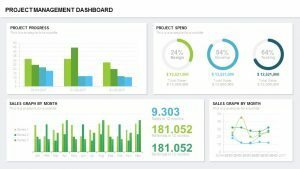 Dashboard PowerPoint templates can be used to give overall detailed information about a company, their sales report, or any information considering their sales at a very quick glance.